Koolance patented quick disconnect no-spill coupling with automatic shutoff. 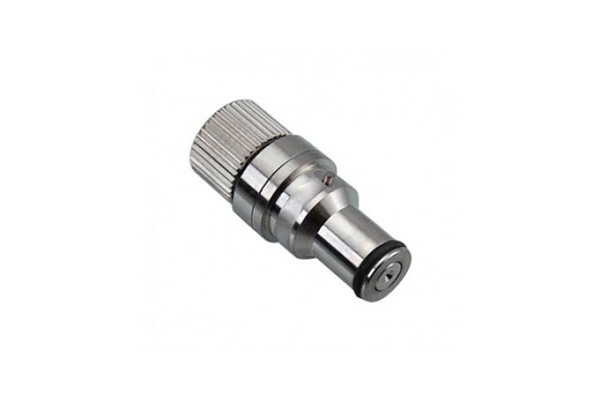 6mm (1/4in) ID male straight connection with compression fitting. It will only fit a Koolance VL2N female quick disconnect. After a quarter twist, the quick-disconnect fittings will separate. Liquid on both sides will be automatically obstructed with approximately 0.2ml freed. Coolant volume lost upon disconnection will rise with internal pressure higher than 0.5kgf/cm2 (7psi). Maximum operating pressure is 6kgf/cm2 (85 psi). Maximum operating temperature is 90°C.